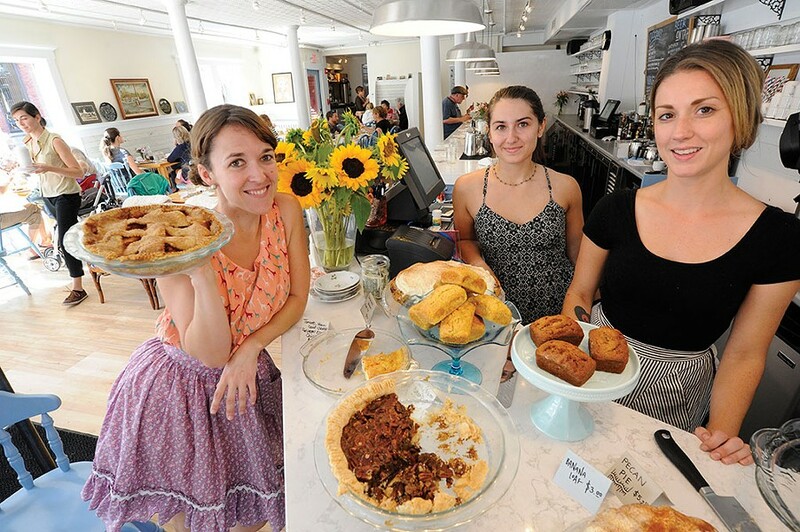 At Down Home Kitchen, the inspiration is unmistakably southern, a cuisine central Vermonters have been craving since Plainfield's River Run closed its doors. The cooks here turn out flavorful soul food and perfect biscuits, and owner Mary Alice Proffitt greets guests warmly at the door. Slender and energetic in a spotless apron, the Georgia native drawls, "How y'all doin' today?" before offering a barstool or asking if you're feeling social enough to join folks at the sometimes-boisterous communal table. Wherever you land, say "hey" to a bottomless cup of coffee, made from beans roasted at East Calais' Bohemian Bakery. 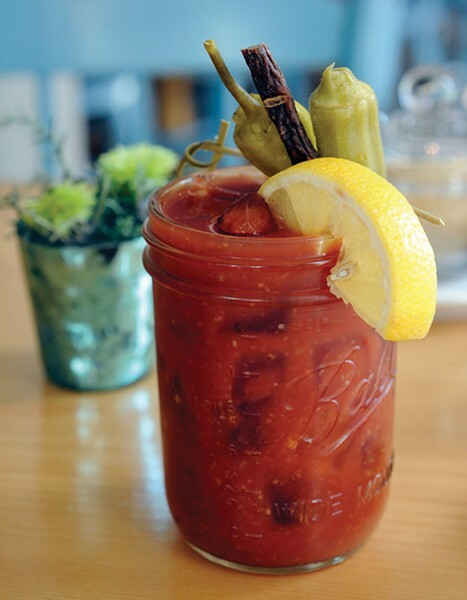 The menu arrives, perhaps alongside a bracing Bloody Mary served in a mason jar. One staple is the Southern: fried chicken with eggs and cheesy grits or home fries. 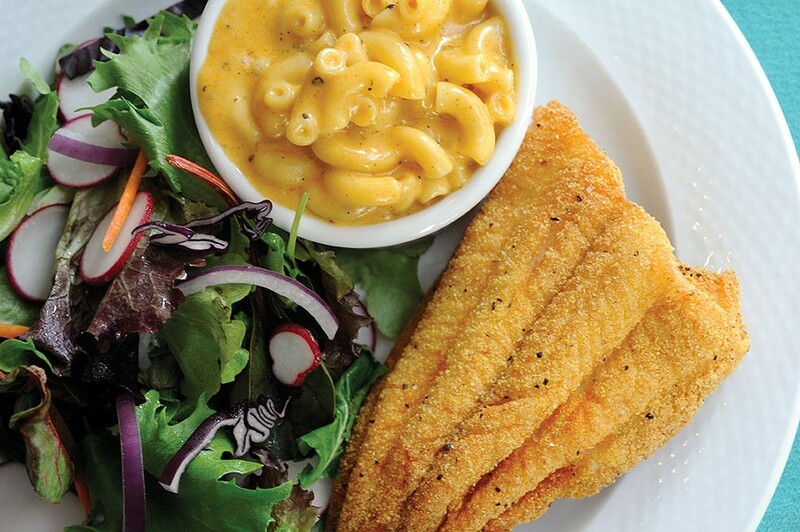 Then there's the cornmeal-dredged Jimmy's Fried Catfish, a gustatory nod to River Run's former owner, Jimmy Kennedy. Crisp on the outside and juicy in the middle, the fish comes as part of a breakfast plate and, at lunchtime, can be paired with tangy coleslaw and a scoop of shockingly yellow but delicately flavored mac and cheese. Those regulars are worth coming back for. But at Down Home, the specials are truly special. One Saturday's shrimp with grit cakes came garnished with zesty chow-chow and a rich, chile-spiked tomato gravy that was plate-licking good. The next day, there was meatloaf, studded with aromatic vegetables and served with gooey caramelized onions and smoked tomato aioli. If you manage to clear your plate, you'll likely be too full for dessert — but that's what to-go boxes are for. Fill yours with a slice of pecan pie, a gooey cinnamon roll, a wedge of chocolate layer cake or a few fresh doughnuts. After a hearty dose of comfort food and southern hospitality, it can be jarring to open the door and realize you're still in Vermont. Here, there's no place like Down Home.